With the release of the Aquaman solo film only six months away, more details are beginning to emerge. Today, Entertainment Weekly released exclusive first images of the film. 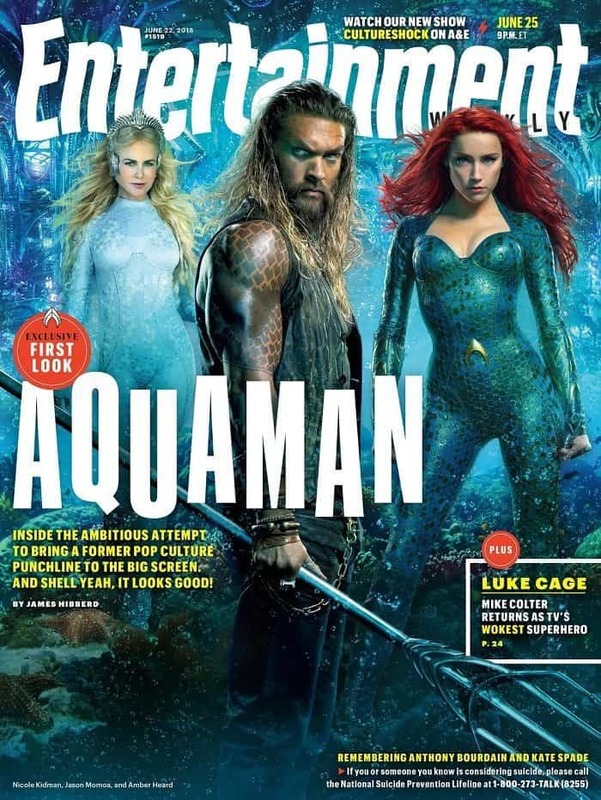 Aquaman is the feature of their most recent issue, including two collectible covers. One of them features Jason Momoa‘s Aquaman, Amber Heard‘s Mera, and Nicole Kidman‘s Queen Atlanna. 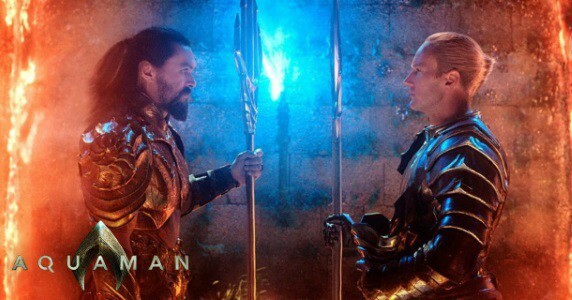 Next is a photo of Aquaman staring down his ambitious brother King Orm (Patrick Wilson), also known as Ocean Master. He will be the film’s main antagonist, wanting to wage war on the surface world. 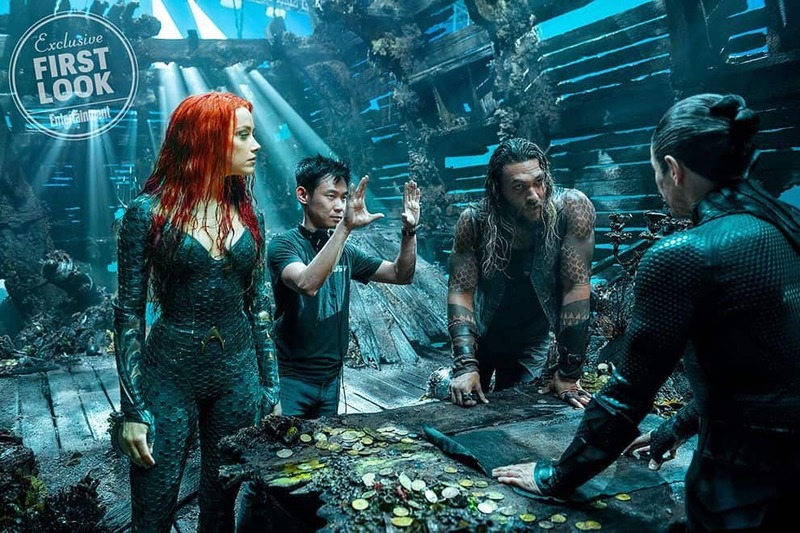 In a behind-the-scenes photo, director James Wan frames a scene between Aquaman, Mera, and Aquaman’s mentor Vulko (Willem DaFoe). 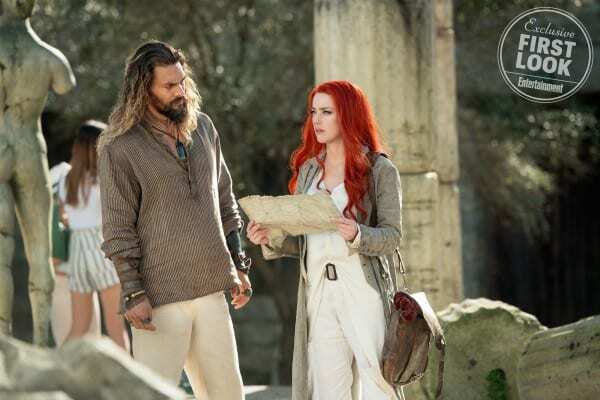 In the next photo, we see Aquaman and Mera on land. She is holding what could be a map. Her red hair appears much brighter than in her brief Justice League appearance, but I am a firm believer in waiting to see the final product before judging something. The final image shows Queen Atlanna protectively holding her son as a child. She is clealy on the surface, but we do not know to whom she is speaking. In Justice League, we learn that Arthur Curry has been away from Atlantis for quite some time. Could this scene have something to do with that? It seems like we will have to wait until December to find that out! In another EW article, Wan spoke about how he addressed the Atlanteans speaking underwater. In Justice League, Mera created a bubble of air so that she and Aquaman could speak. However, Wan decided to simplify things. “People are overthinking it,” Wan says. “They’re just gonna talk!” Fans have pointed out that Atlanteans would not need to breathe, making the bubble of air unnecessary. They would simply be able to speak as easily as you or I. Wan will add a bit if visual effects to suggest sound waves, but that is it. This is proof that sometimes the simplest solution is often the best one. 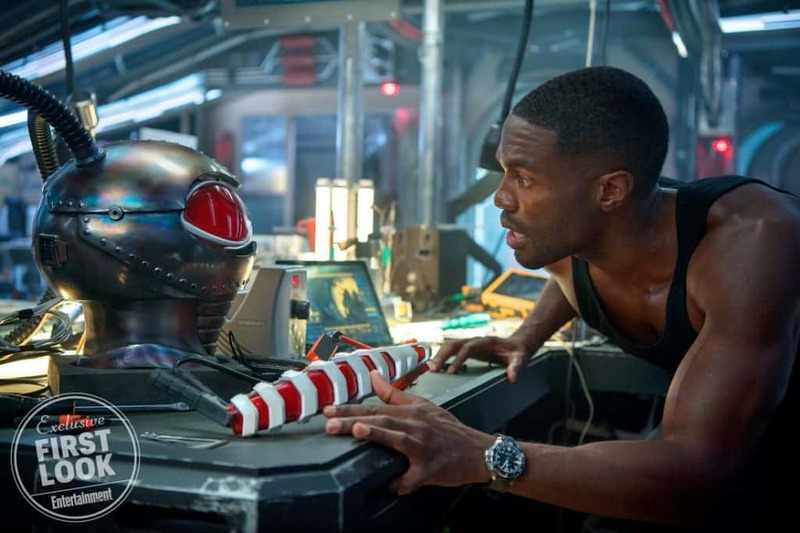 What do you think of these first Aquaman images? Are you excited to see Aquaman get his own movie? 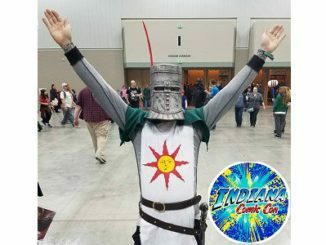 Let us know in the comments?